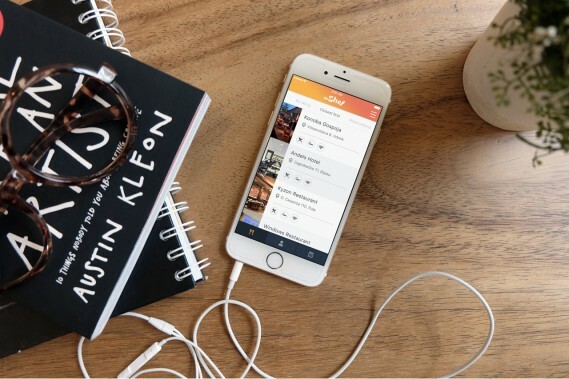 MAKE THE EXPERIENCE OF ORDERING BETTER, MORE FUN AND MORE INTERESTING! What is the daShef digital menu? 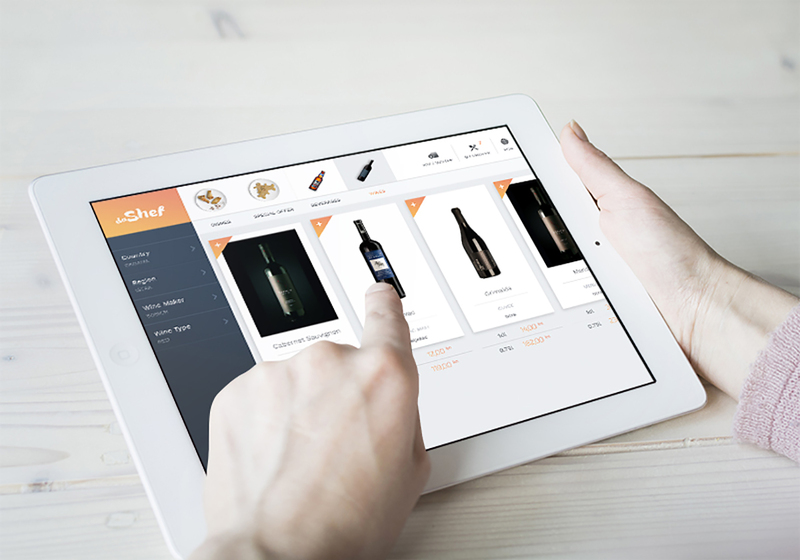 daShef is a menu which presents your entire offer in digital form on a tablet. 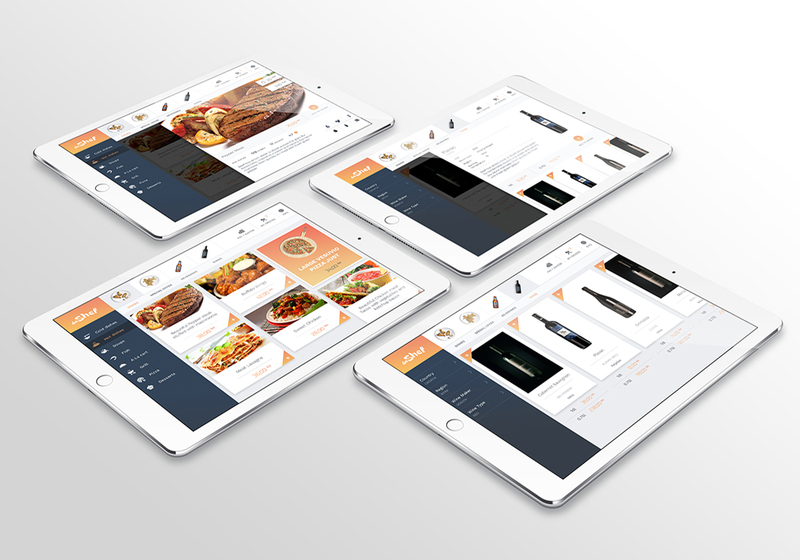 The digital menu was created to improve the relationship between caterers and clients, to reduce unnecessary costs of catering facilities and to increase their income as well as the satisfaction of guests. Get to know your guests and personalize your offer in accordance with their preferences. While you easily customize your menu, your guests can enjoy ordering. 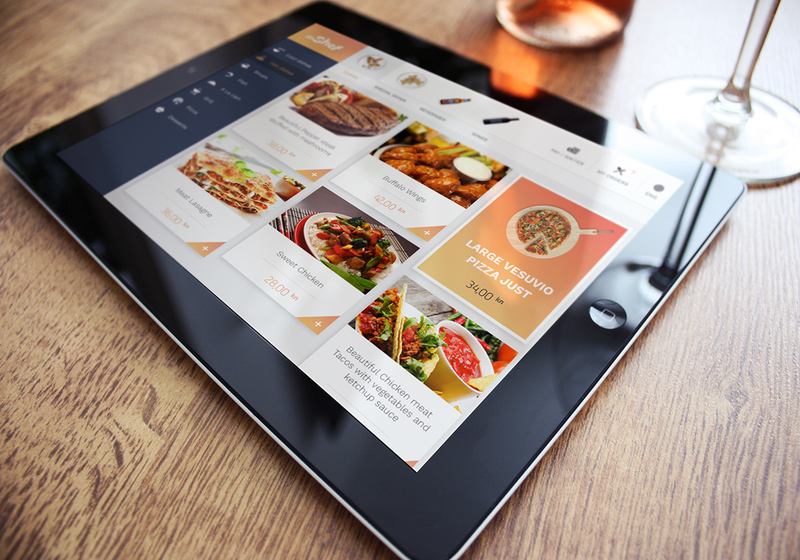 What does the digital menu provide? Your guests will be perfectly familiar with your offer through a variety of options provided by the daShef digital menu. Highlight the specifics of meal preparation and the uniqueness of its origins. Add recommendations and encourage your guests to try something new from your offer. Read guest comments and learn how to improve business. Easily manage content and change the offer at any time with no additional costs. How to use the daShef digital menu? daShef comes with two basic modes of operation and it’s up to you to choose the one that best suits your catering facility. Offer is presented in digital form with photographs and detailed descriptions of items as well as a many other information. Guests are informed better and are more certain of their choices. Ordering is performed in the traditional manner in which the waiters take the order at the table. After the guests review the offer they have the option to place an order themselves by choosing preferred items. After the order is placed, it is sent to the kitchen and the bar. The order is visible on the computer in Backoffice. Integration with the POS system is possible but not necessary. Waiting forever to place an order, guests doubting their choices and misunderstandings between waiters and guests are now history. No more uncomfortable hand waving, guests are served more quickly, are more satisfied and, most importantly, they come back. Guest satisfaction is the crucial factor in the success of every catering facility. 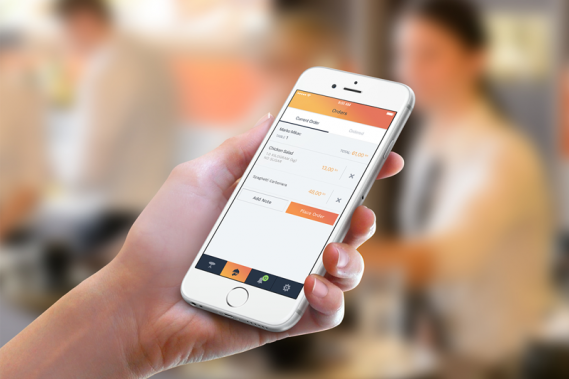 daShef allows guests better insight into your offer, shortens their time of stay and makes waiters more efficient. Full restaurants no longer imply a long wait. The possibility of ordering and summoning waiters through the application will additionally accelerate the process, thrill both you and your guests and have a positive influence on them. This will ultimately result in higher revenues and return on investment will be achieved in a period of only a few months. GIVE YOUR GUESTS THE OPTION TO VIEW YOUR OFFER ON THEIR SMARTPHONES, ALLOW YOUR WAITERS TO QUICKLY TAKE ORDERS.